The king of Bollywood and box office superstar Salman Khan has come back on silver screen once again and this time with Tiger's roar. His new film Tiger Zinda Hai has released this Friday on the Christmas weekend and this is also going to be a special treat for his fans as it is also his birthday treat for fans. 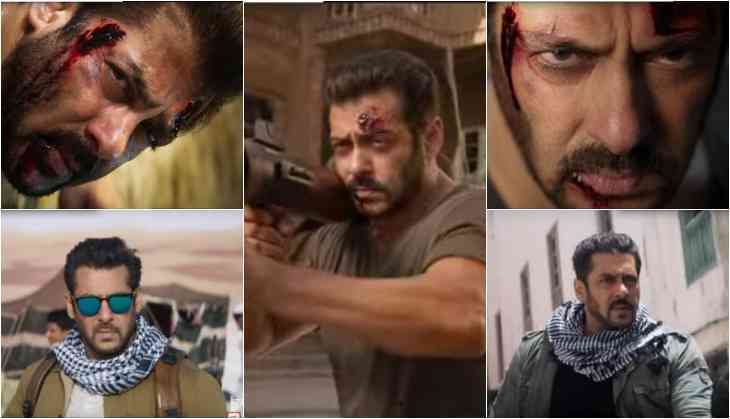 Well, Ali Abbas Zafar directorial film has got a great opening and it could turn out to the blockbuster of this year, but here we have brought you a segment in which we will tell you the box office report of Salman Khan starring last five films. 1. Tubelight (Eid 2017) - The Kabir Khan directorial film was not high at the box office as it got a flop. The audience didn't like Salman Khan as a person who is kind when it comes to the brain. The film only collected 119.26 crores at the box office. 2. Sultan (Eid 2016) - Ali Abbas Zafar's wrestling drama film released on Eid and it was Salman's career second best film that collected more than 300 crores at the box office. 3. Prem Ratan Dhan Payo (Diwali 2015) - Sooraj Barjatya worked with Salman Khan after 16 years and the family drama again worked at the box office. The overall box office collection of 210.16 crores. 4. Bajrangi Bhaijaan (Eid 2015) - Salman Khan came on Eid with Kabir Khan's film based on human emotions. This film of Bhaijaan did a record-breaking collection at the box office and earned 320.34 crores. 5. Kick (Eid 2014) - Salman Khan for the first time played dark shade role in his career in Sajid Nadiadwala's film starring opposite Jacqueline Fernandez. The film collected 231.85 crores and it was the highest grossing film of Salman Khan that time.